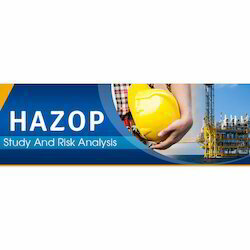 Providing you the best range of hazard interoperability study with effective & timely delivery. Moving on deep knowledge & industrial experience, we are offering a very effective solution for Hazard Interoperability Study. A hazard analysis is used as the first step in a process used to assess risk. The result of a hazard analysis is the identification of different type of hazards. The offered study services are offered by our adept professionals by using modern technology and tools. Our provided study services are appreciated by the clients for their quality features like promptness.